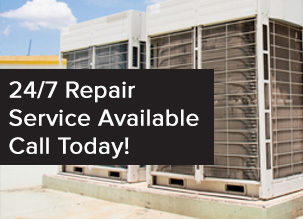 For well over 20 years, All Temp AC and Refrigeration has provided expert service to all customers in need of technical assistance with their refrigeration needs. Whatever the issue may be, All Temp has dedicated itself to hiring the top experts in the industry to be there for anyone when something goes wrong. All Temp’s experts are able to solve any commercial refrigeration problem and can be there quickly for immediate assistance. The consistent reliability All Temp offers is sought after by anyone looking to have an issue resolved as fast as possible. Fortunately, not all businesses require technical assistance to solve a problem. Aside from All Temp’s vast abilities to fix commercial refrigeration systems, we are also capable of installing units and even designing custom ones for your company’s specific needs. Labs are constantly having to store medications and other precious materials at specific temperatures. Even some food industry companies need a system to fit into a space no standard refrigerator will accommodate. The success All Temp has had over the years puts them first among all other Orlando refrigeration companies. The skill set of our technicians is unbeatable because All Temp only has the best professionals on our staff to help your company achieve excellence in all aspects of your cooling needs. Commercial refrigeration can’t be overlooked as common equipment your company just uses every day. Instead, it should be regarded as the backbone and a necessity you rely on. A commercial refrigeration system that shuts down or malfunctions can lead to the beginning of unfortunate events. The system may need expensive repairs or may need to be replaced, which means that food or medication inventory could be compromised. Any of these events and more could come solely from the sudden loss of your commercial refrigeration unit. Having anything negative occur in regards to your refrigeration equipment can be devastating, which is why All Temp vows to be there for you in your time of need. We are available every day of the year including weekends. Our experts are always ready to take on whatever crisis your commercial refrigeration system may be enduring, even in emergency situations where immediate assistance is required. So, for the best commercial refrigeration service in Orlando, contact All Temp at 407-857-7800 (Orlando Area) or 813-630-9400 (Tampa area).